I will be at the Relay for life on Saturday June 03 2017 doing readings in the Wellness Tent Area (see the map below). Support the fight against cancer by participating the Relay for life. Come out enjoy the fresh food, spring weather and festive events. There are many different actives to choose from. Note: I will be donating a portion of the proceeds collected to the Cancer Agency. Note: All proceeds raised will benefit the youth center. Psychics are available for one-on-one readings. Visitors may receive a 15-minute reading for $25, or a 30-minute reading for $45. Readers, vendors, artists, massage therapists, and healers will be available throughout the day. 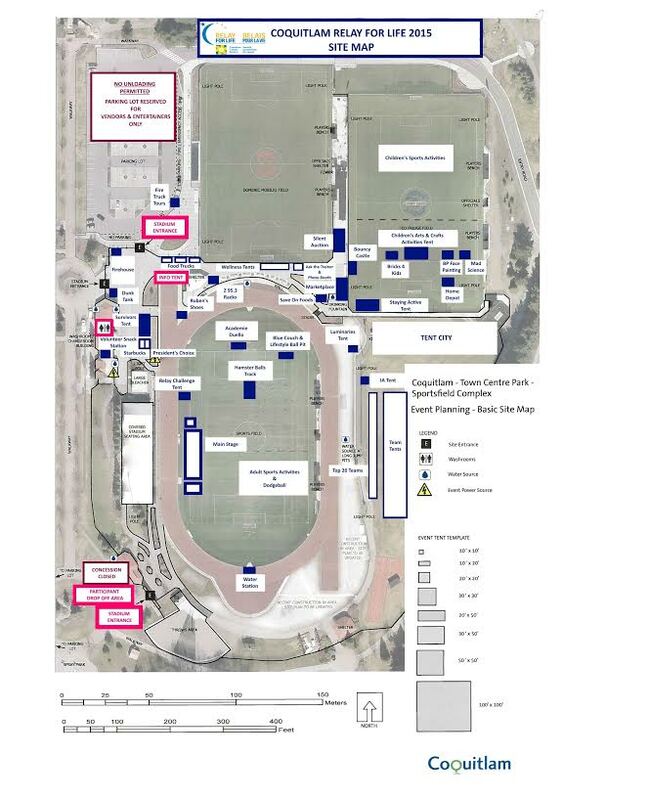 I will be at the Relay for life on Saturday June 04 2016 doing readings in the Wellness Tent #6 (see the map below). Support the fight against cancer by participating the Relay for life. Come out enjoy the fresh food, spring weather and festive events. There are many different actives to choose from. Note: I will be donating all proceeds collected to the Cancer Agency. I will be fundraising in Port Moody at the St. Johns’ Lexus Dealership doing mini tarot readings. I expect lots of excitement including a fashion show! See you there. This will be my 3rd year participating be at the Relay for life on Saturday June 06 2015. I will be offering Mini Astrology Readings, in the Wellness Tent #6 (see the map below). The Earth is awakening after a long slumber, the natural rhythm of bursting forth and making connections get activated at the Spring Equinox. Come share the festive environment with food, drink, and the metaphysical. I will be present for both days providing 30 minutes readings. There are numerous other readers to choose from. Don’t be disappointed book your session online at http://tinyurl.com/nnqdudk or visit the website at http://wildmoonevents.wix.com/wildmoonevents See you there! I will at the Relay for life on Saturday offering Astrology Readings, my friends Vicki and Sharon will be providing Tarot Readings. Support the fight against cancer by participating the Relay for life. Come out enjoy the fresh food, spring weather and festive events. There are many different actives to choose from. Note: I will be donating all funds collected to the Cancer Agency. Come Join us celebrate the special women in your life MOM, share the festive environment with food, drink, and the metaphysical. I will be present for both days providing 30 minutes readings. There are numerous other readers to choose from. Don’t be disappointed book your session online at http://tinyurl.com/nnqdudk or visit the website at http://wildmoonevents.wix.com/wildmoonevents See you there!